When your Canon LBP 2900 occurs during printing: the red light is flashing, printer can not print and load paper. 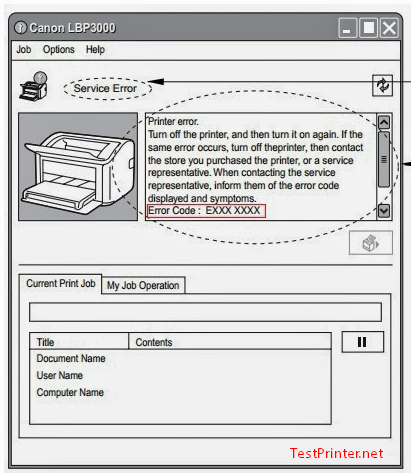 The following message is displayed in the Printer Status Window when a paper jam occurs during printing. There is a high-voltage unit inside Canon LBP 2900 printer. When you are clearing paper jams or inspecting the interior of the Canon LBP2900, make sure that no necklaces, bracelets, or other metallic objects come into contact with the inside of the Canon LBP 2900 printer. If this does happen, it may cause burns or an electrical shock. Notes: Please don not touch anything: the paper feed roller under any circumstances; the transfer roller under any circumstances; any off the high voltage parts inside the top cover. – Turn off the power of your Canon LBP 2900 printer. – Unplug the Canon LBP 2900 USB connector. – Grasp the groove on the right side of the Canon LBP 2900 top cover and open the cover until it stops. Even if you can see the jammed paper from the output tray of your Canon LBP2900, do not pull on the paper. Make sure you open the top cover and remove the Canon 2900 toner cartridge before attempting to clear the jam. – If you touch the inner Canon LBP 2900 printer’s drum with your hand or scratch it, the Canon LBP-2900 printing quality will be degraded. – Please do not touch or open the protective shutter of the Canon LBP 2900 printer drum under any circumstances. Be careful not to hold or touch any parts other than as directed. Doing so may damage the toner cartridge of Canon 2900 printer. – Do not expose the Canon LBP 2900 printer toner cartridge to direct sunlight or strong light. – With your Canon LBP 2900 toner cartridge: Be careful not to hold or touch sensitive areas such as the sensor or electrical contacts. Doing so may damage your Canon LBP-2900 printer. Step 3: Place your Canon LBP2900 toner cartridge into the protective bag. If you don not have a protective bag, you can use a black nilon bag to pace your toner cartridge of canon lbp 2900. Step 4: Remove any paper from the Canon LBP 2900 multi-purpose tray. – Even if the paper is jammed in the Canon LBP2900 multi-purpose tray, do not clear the jam, but continue with the following steps. Step 5: Removing the Canon LBP 2900 printer jammed paper. + Gently pull the paper up to clear the jam of your LBP 2900 printer (Pic 1). + If the Canon LBP 2900 jam is difficult to clear, pull the paper out from the multi-purpose tray or manual feed tray (Pic 2). Notes: If you are pulling jammed paper out from your Canon LBp 2900 multi-purpose tray or manual feed tray, excess toner may stain the next sheet of paper that you print on. – Circumstances 2: If you can see the tail edge of the paper inside your Canon LBP 2900 printer. – A: Hold the paper by both edges and slowly feed it downwards to clear the paper out. shown in the diagram (1), then remove the paper from the output tray side (2). Notes: If you are pulling jammed paper out from the Canon LBP 2900 output trayside, excess toner may stain the next sheet of paper that you print on. – Circumstances 3: If you cannot see the leading edge or the tail edge of the paper on your Canon LBP 2900 printer. + A: Pull out the back end of the paper as shown in the diagram (1), then hold the paper by both edges and feed it slowly down to clear the paper out of the printer (2). + B: If the paper is difficult to pull out, pull on the leading edge of the paper as shown in the diagram (1), then remove the paper from the output tray side (2). Notes: If you are pulling jammed paper out from the output tray side, excess toner may stain the next sheet of paper that you print on. Step 6: Complete clear paper jams of Canon LBP 2900 printer. – Step 6.1: Load the paper so that the paper meets the rear paper guide. If the Canon LBP 2900 paper jam occurred while feeding from the manual feed tray, load paper into the manual feed tray. – Step 6.2: Take the toner cartridge out of the protective bag. – Step 6.3: Align the protrusions on the left and right ends of the toner cartridge with the toner cartridge guides in the main printer, and push the cartridge all the way to the back, then pull it down towards you. 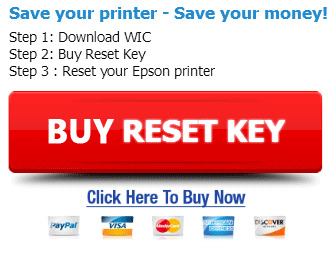 Visit: how to print test page with your canon lbp 2900 printer.